I don’t think it’s any secret that there is a lack of quality gardening television shows available in the U.S. There are some, of course, and two that come to mind are The Victory Garden and P. Allen Smith’s Garden Home, both on PBS. Although I have the DVR programmed to record every one of these I can (which means a lot of old, fuzzy episodes of The Victory Garden recorded from some channel called RLTV that runs a lot of ads for how the elderly can learn to use computers), I cannot manage to quench my thirst for gardening programming. And let’s be honest, at this point it’s a matter of keeping my sanity. If you follow me on Facebook or Instagram, you saw what I did this weekend. Two interesting things to note about this photo: 1. I suspect that one should not be considering garden bed shape while the snow shovel is still standing at attention (leaning on the garage); and 2. See that big icy puddle on the path? That’s why leveling a path is so important! 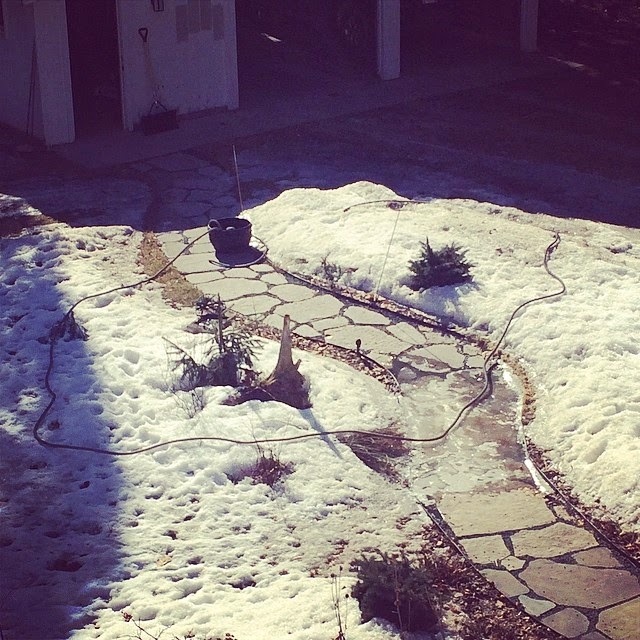 That’s my attempt at redefining that garden bed that crosses the path on top of a foot of snow with a half frozen hose. With another inch of snow added last night, clearly I need to get my gardening frustrations out somewhere. I watch a lot of television shows on my iPad. That way I can watch while I’m cooking, cleaning, painting, drying my hair or just walking around the house (not recommended; ouch). So I’ve been searching for gardening shows I can stream on my iPad. I started at Amazon Prime. There aren’t a lot of shows to be had as part of the Prime program, but I did find several old English gardening shows that were somewhat interesting. The best was “Secret Gardens of England” with Alan Titchmarsh. Apparently, in England it’s not uncommon for somewhat regular gardeners to open up their gardens to the public a few times a year for a small fee (which is often donated to a charity). This program highlights a few of the lesser known gardens and is quite interesting because these gardens are for the most part relatively small properties with unique growing conditions rather than huge estates. Another Amazon Prime show I watched was a full season of “The Great Gardens of England,” which is about the same as “Secret Gardens” but features more popular, grander gardens. What I found so interesting about both shows, but particularly “Secret Gardens” is that the most interesting gardens are a partnership, usually between a married couple, where each person has a specific role (and that doesn’t mean that the man is relegated to hole digger all the time). I’m beginning to suspect that the checks and balances that come with gardening with another person create a much more beautiful space. Anyway, you can only watch old English ladies in frumpy dresses stroll around gardens for so long, and I’d about had my fill of that. Next I went to the PBS app where I found access to some episodes of regional gardening programs. “Volunteer Gardener” from Tennessee was pretty good as was one from North Carolina, but when one of them flipped to their regular segment filmed at Home Depot where a woman in an orange apron explained how to make a container that consisted of a spike, a geranium and ivy, I decided I was done with that too. While I was searching for programs on my laptop, I landed at Gardeners’ World on BBC. I used the Hola extension that makes your web browser look like it’s coming from a different country (the same one I used to watch Sarah Richardson design shows on HGTV Canada) to be able to watch the three episodes of this show that were available online for viewing. Holy smokes, they blew my socks off. This is quality programming, people. The cinematography (I think that’s the right word) is unbelievable. It is filmed so beautifully with the shots often starting closely zoomed in on a plant and panning out to catch the frame in the background. The segments are a nice length and very interesting. What I like most though is the presenters. They have dirty hands from digging in the dirt. One of them, Carol Klein, is this exuberant woman who is constantly chatting and smiling and has had dirt on the knees of her blue jeans in every segment. In other words, they are real gardeners. I love it. 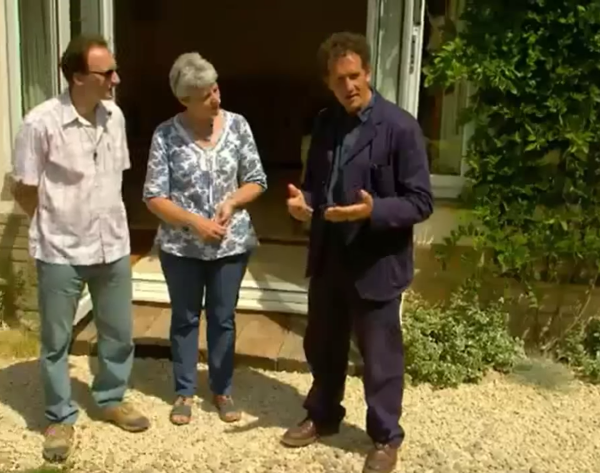 One episode had a segment on Boxwood blight and was filmed in presenter Monty Don‘s garden (as many segments are). His garden is a beautiful formal one, with perfectly trimmed boxwood hedges creating the structure. One area was decimated by Boxwood blight, so the segment highlighted what to do about it to try to keep it from spreading throughout the garden. The quick answer is to cut off the affected plants, dig out the roots, burn it all and cross your fingers. So I was thinking to myself, what is this guy going to do? He just lost an entire hedge from around one area of his garden and now it won’t match the rest. 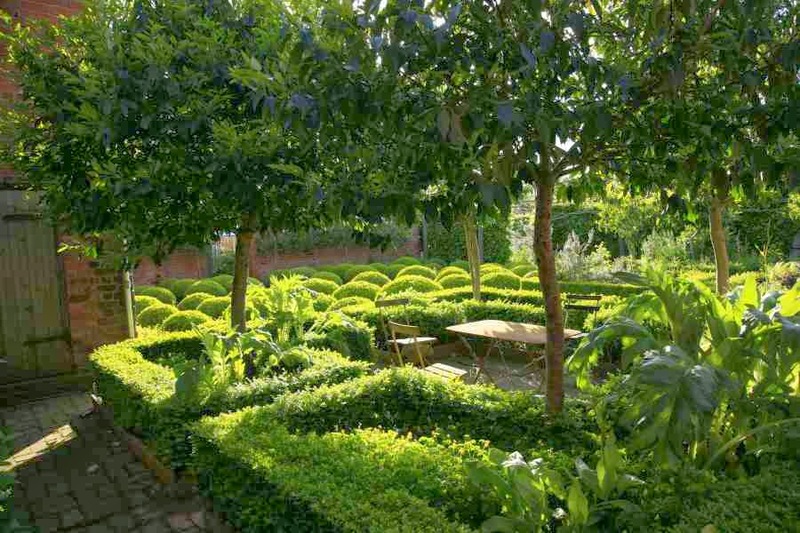 But while he was cutting it down (and mentioning that he had planted the boxwood more than 15 years earlier when his children were young) he said he was excited about the possibilities of what he could do there now that he wasn’t limited by the hedge in that area. You have to admire that attitude. 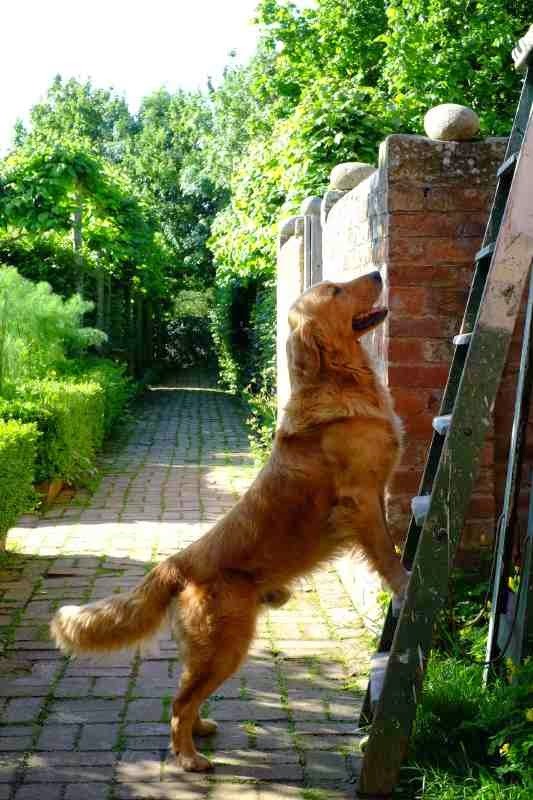 This is Monty Don’s dog Nigel who is super cute and constantly chasing his ball. Photo from Don’s blog. In search of more episodes of Gardeners’ World, I landed on YouTube where wonderful people have (probably totally illegally) posted excellent episodes of the show and its specials. Gold mine! One special that I really enjoyed was called “The Science of Gardening” with the aforementioned Carol Klein. It was a really fascinating look into exactly what the title suggests, but in a very approachable and easy-to-understand manner. The section on soil structure was particularly interesting to me. 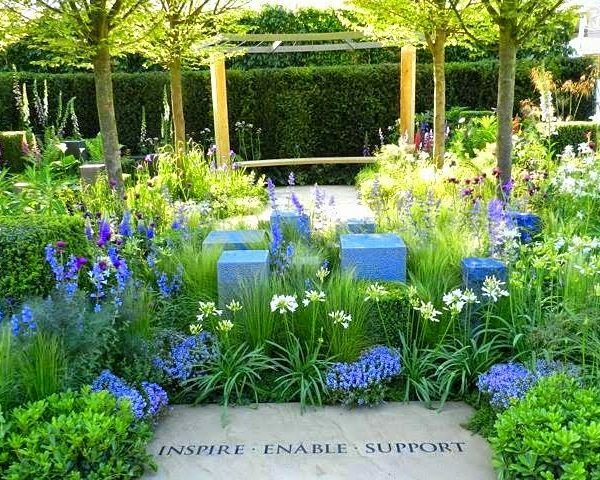 I also watched a special on the 2013 Chelsea Flower Show. For some reason I always find it to be hard to find information and images from the show, which is surprising since it’s pretty much the biggest thing going in the gardening world. This was a great look at the world-famous event. Interesting tidbit: Gnomes have been prohibited from displays at the Chelsea Flower Show basically forever, but in 2013 they were allowed and later auctioned off for charity. 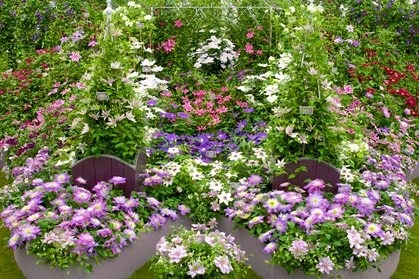 A clematis display at the Chelsea Flower Show. Youtube is one of those places where it’s hard to search for shows, but you usually find them by looking at the suggestions after you’ve watched a video. So I’m hoping I’ll continue finding more programs to tide me over until I can get in the garden. 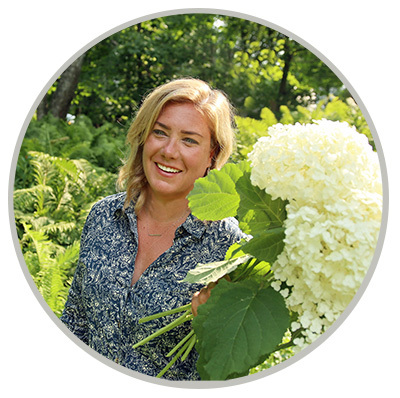 Do you have a secret source for great gardening programming? I’ve updated the “Favorites” tab at the top of the page with links to seasons and episodes of some great television shows on Youtube to help you find some of them a little easier. next post: OH YEAH, I REPAINTED IT. AGAIN. Excellent suggestions, Kris. I love Growing a Greener World! No secret sources but Monty Don's book The Jewel Garden is one of the most interesting and touching garden books I've ever read. Actually sent to UK for it based on a review. I have heard CArol Klein speak twice. She knows her stuff but can't keep to a time limit to save her life. Won't go to hear her again. I can definitely see her being a bit long-winded. She reminds me of a lovely but slightly scatter-brained friend. Maybe you can find old episodes of The Wisconsin Gardener online. Was carried on WI public tv and originated in Madison. I did find a handful of them, but sadly not many. Oh that sound absolutely lovely. I would LOVE to see some photos if you'd like to share. Thank you for offering! Thanks for this info-I watched a couple of episodes of Life In A Cottage Garden with Carol Klein this morning and really enjoyed it! (on YouTube) It was just what I needed today as we are in the middle of a blizzard here in Nova Scotia! Thanks for the suggestions, Heather. They are on my list! I'm sorry to say I never even dreamed there were gardening shows! So happy to hear about your discoveries. What I would like are some recommendations for gardening magazines. I NEED some pretty pictures. We just bought a home with a big square empty yard. A blank slate! And I am excited to begin. Need inspiration. I envy you a bit, Karen. A blank slate can be totally daunting but so full of possibilities! My favorite gardening magazine, bar none, is Fine Gardening, which has a lovely blend of eye candy and useful information for real gardeners. 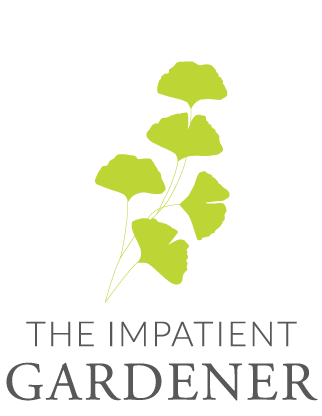 Garden Design magazine is also relaunching as an ad-free quarterly and it sounds promising so that might be another to check out. I don't get the ad-free thing, to be honest. 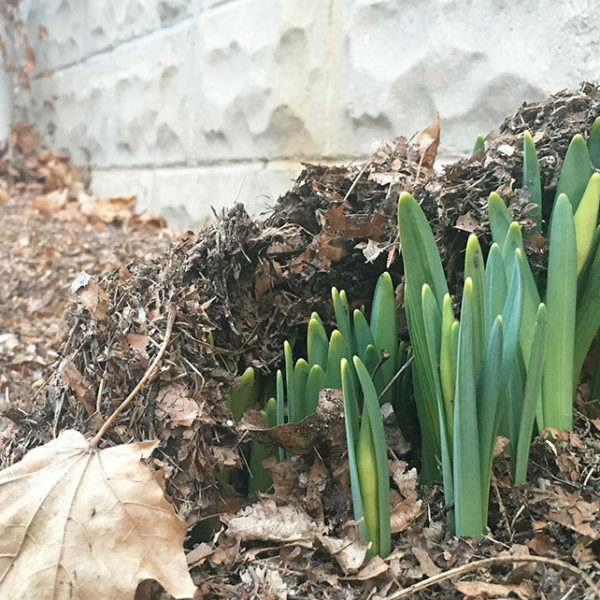 I like the ads … it's how I've found some of my favorite garden sources. Also make sure to check out Houzz.com. There are tons of landscape photos there that should provide a great amount of inspiration. Good luck! 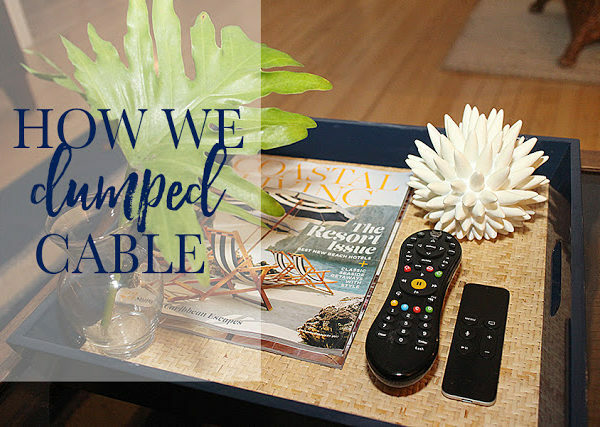 Oh my goodness…you have me totally hooked on these shows! 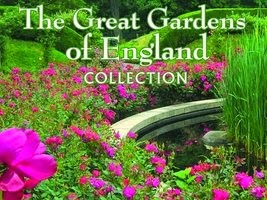 I never knew they existed, and they are SO great…I love the Cottage Garden series with Carol Klein!! I find the way she goes about her gardening to be so fascinating, especially how she is constantly propagating her plants either by seeds or by just pinching or cutting them off and sticking them in a pot. I am also obsessed with the black handled tubs they use to carry seemingly everything in. I am eagerly awaiting the next episode of Gardeners World to be posted after this coming Friday's airing. Totally agree with you..HGTV seems more interested in selling properties and 'crashing' houses and yards than actually putting valuable info out there.Miss the old days.I,actually,find more info on PBS. Amazon Prime has tons of garden shows. Some really good before and aftershock too. I am new to all this and have found some real gems and are looking for more – especially what landscape architects miht watch. I think I’ve watched all these and enjoy them all. It’s all very inspirational. Enjoy! Another site is GARDEN ANSWER. Both are on Youtube. Here is the address for just one of the episodes. https://www.youtube.com/watch?v=_jmHf9BJwFs ( I don’t know why it doesn’t allow me to click on it, but you can type in Youtube+Garden Answer and I think you’ll get to her videos on gardening. Same for KLRU since you can’t just click on the address here.